Come join us! We are located in Alto Boquete inside Villa San Miguel. If you are coming from the town center, we are located in Alto Boquete, two blocks past Super Centro Ivan on the left hand side infront of the new Mini Super MercaMax. Come and join us to experience this magical place of serenity and peace! YiA YOGA International is a 200 Hour & 300 Hour Registered Yoga School (RYS) through Yoga Alliance® & a Yoga Alliance® Continuing Education Provider (YACEP). Yoga is not just about getting on your mat & doing the postures. Yoga is a path to guide us on this journey we call life. It is the process of becoming who we truly are at our core, at our highest selves. It is about learning to love ourselves & those around us. It is about shining our light into the world to be of service to others. It is about learning to truly listen to our bodies. To connect with spirit. To connect with others. It is about being kind. Showing compassion for others and ourselves. It is about finding our truth and living our truth. Its about living in a world of abundance, verse lack. Its about knowing that in this moment, everything is as it should be, no regrets. Its about moving forward. It is about learning to use your energy wisely and not allowing negative energy to enter into your being. It is about letting go of attachments, knowing the only thing that is consistent is change. Its about learning to flow like water, gracefully over the bumps along the way. About getting knocked down and always getting back up with a new perspective. It is about accepting without darkness, there is no lightness. They go hand in hand, working in harmony. Just doing yoga postures will not change your life, but doing the work that goes along with the postures will. The postures for me are just a small part of this yoga journey. But when I come to my mat, I intend on incorporating all the lessons I have learned or am trying to learn during my practice, that is what makes yoga challenging. A good yogi is not one that can come to their mat and do some truly difficult postures with grace. A true yogi is one that comes to their mat with their light shinning as brightly as possible. Someone who during their practice is showing gratitude for their body for what it can and cannot do and not judging it. Someone who comes to their mat full of gratitude and self love. Someone who shows compassion to others. Someone who is patient with themselves and others around them. Someone who lives in the moment, knowing that moment is perfect and exactly where they should be. Someone who looks in the mirror and says, thank you God for this gift of life, I will do the best I can to serve at my highest self. We are all interconnected, we are one. COME JOIN US ON THIS BEAUTIFUL YOGA PATH BY LEARNING MORE ABOUT YOURS! 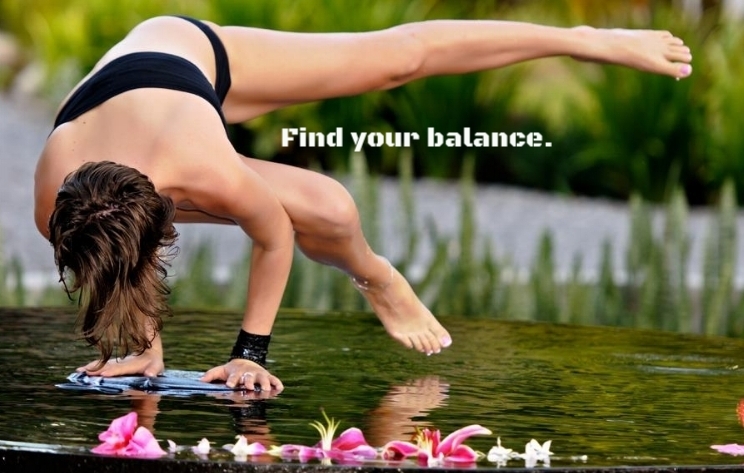 Take your yoga practice to the next level by immersing yourself in your practice! Whether you are just beginning your practice or have an advanced practice, our trainings will surely create a beautiful shift in your life and expand you beyond measure in your practice. By joining you will become a Registered Yoga Teacher with Yoga Alliance®! During our trainings we will explore the philosophy & history of yoga, the benefits of the postures & alignment, physiology of yoga, the 8 limbs of yoga, meditation & much more with each one having their own unique flavor. The trainings will be lead by owner, Kaytee Hoverson and be supported by other YiA YOGA teachers & Guest Teachers. A maximum of 15 participants will be accepted. Please contact us today if you would like to apply for one of our trainings. What Will I Experience During the 200-Hour Yoga Teacher Training? Personal Growth At YiA YOGA, we believe the heart & soul of the practice of yoga as a whole comes from within. We desire to inspire you to “be the change you wish to see in this world.” During the training, you will have the opportunity to reflect & connect with your highest self... the part of you that knows that the sky is the limit, the part of you that sees the beauty within yourself & others, the part of you that makes your dreams, hopes and visions a reality. Spiritual Connection This training is designed to be suitable for people of all religious & spiritual backgrounds. At YiA YOGA, we fully respect & honor individual belief systems. We do not seek to “convert” you into anything. We seek to inspire you to be the best version of yourself. If you believe in a higher power, we desire to connect you more to your own higher power and your highest self. Together we will practice the power of love and gratitude, which cross all cultures, religions, & philosophies. Love and gratitude unite us into One human race. Creativity through Vinyasa The primary style of yoga we will focus on learning is Vinyasa Yoga. It is one of the more creative types of yoga and is a perfect base for all other forms. If you can teach a Vinyasa class, expanding to teaching other forms of yoga is easy. Vinyasa can be soft & gentle or powerful & intense. It is whatever you want it to be. You as a teacher are able to express your creativity through the practice and personalize your class to express who you are and what you represent. It is not a set sequence of poses that you follow every class, it is a beautiful dance that comes together through sun salutations. During the training, we will also expand your knowledge of the various forms of yoga by introducing you to various styles and empowering you to teach from your authentic voice. Yoga Anatomy & Physiology Together we will explore the relationship between yoga anatomy & physiology that will support you to guide your students in a safe & effective manner and will empower you to create well rounded balanced classes using peak pose sequencing. We will take an inside look on a collection of the most important foundational poses that together comprise the full range of the body’s expression to give you a better understanding of the movements involved using full-color, detailed anatomical illustrations and physical demonstrations in our posture clinics. Yoga Adjustments At YiA YOGA, we believe that one key to being an exceptional yoga teacher is being able to support your students in their practice by taking their postures to their full expression safely. We will take a hands on approach to teaching you, not only the anatomy of the posture, but how to get them into proper alignment using effective adjustment techniques. You will also develop clear & concise communication skills, learn to fully observe your students in their practice and communicate what they need to hear in order to deepen their own experience. Lastly, we will discover the beauty and power of body awareness through various meditations and exercises. We Build on Your Strengths at a Teacher Your ability to create change within yourself and in the world depends upon your courage, commitment, authenticity, and connection. By exploring your strengths and deeply connecting to your highest self, you will empower others to do the same. There is no greater gift you can give than allowing your light to shine as brightly as possible, as it inspires others to do the same. Each yoga teacher has something exceptional to offer their students. Together we will tap into examining our personal strengths and using them as a foundation for developing our individual teaching styles allowing you to fully experience the joy, art & science of being a yoga teacher. Meditation The Founder & Director of YiA YOGA, Kaytee Hoverson, credits much of her focus & success - both worldly and in the spiritual realms - to the practice of meditation and visualization using the law of attraction as a strong foundation. During this training, you will have the opportunity to dive into this magnificent, life-impacting, powerful practice with her and learn how you can incorporate meditation & visualization into your own life assisting you in fulfilling your dreams and desires. As you develop & expand your personal meditation practice, you will be inspired to guide your students to theirs. Yoga Philosophy The practice of yoga goes back thousands of years, but has only exploded across the world just recently. Together, we will look into the most significant historical yogic texts giving us a deeper understand of the foundation of yoga and flow through time to bring us to the present moment of what is means to be a yogi in the 21st century. Then in 2017, she discovered her second heaven on Earth in Bali. The energy, culture, resources & the beauty mother Bali possesses are indescribable, only experiential. Ubud is a yogi heaven, simple. It is surrounded by sun-kissed green rolling hills of rice paddies, drizzled with hanging banyan trees, radiant steep ravines and refreshing flowing rivers. The weather is delightfully balanced year-round, with temperatures ranging from 25-32 degrees Celsius, or 77-89 degrees Fahrenheit. It is filled with history, vibrant energy and is the spiritual & culture center of Bali. As you walk around the streets you will be in awe of the Balinese architecture & design that include sculptures of various deities and holy temples that will guide you along the way. Everywhere you look there are offerings being placed to send blessings to the people, homes & business... you too will feel this energy being blessed upon you from the inside out... filling the air with exquisite aromas of flowers and incense to further lure you into her energy, her presence, her aura. And on top off all that, it hosts some of the most inspirational yoga and breathwork teachers I have ever had the honor to have worked with. Along with the spiritual beauty Ubud has to offer, it is also a culinary delight as it is home to a plethora of healthy food restaurants featuring some of the best vegetarian, vegan and raw food options out there! Budget Training & Scholarships Yoga Alliance® Certified Teacher Trainings can vary in cost by thousands of dollars! At YiA YOGA, we offer high quality training at a low cost. We are in the business of empowering yogis to operate at their highest selves and would never want money to come in the way of fulfilling a desire to become an empowered Yoga Alliance® Certified Yoga Teacher to move forward on a deeper personal yoga journey. We also offer discounted rates & scholarships. *To apply, contact us today. Intimate Setting At YiA YOGA, we designed our YTT programs to be a unified, comfortable, open, supportive environment that encourages personal growth. We only accept 15 students per session into our teacher trainings as we feel that personal attention and comfort are key to a truly successful, transformational & educational experience in a YTT program. This allows us as a group to go way beyond the surface. This allows us to go deep into a metamorphosis of our mind, body & spirit reshaping, rebuilding and renewing. We will uplift, inspire and motivate one another in ways you have never experienced before. The connections you form during your YTT at YiA YOGA will be bonds that last a lifetime. Experience Your Healthiest Self During your training you will be immersed in healing the mind, body and spirit leaving you feeling full of life, healthy, strong, connected & empowered to create the life you desire & deserve. And much more! Our trainings provide space for the teachers & students to share topics nearest and dearest to their hearts, making every training unique & special. Come and share yourself with us and allow us to share ourselves with you. We are one. ~Namaste. If would like more detailed information or would like to apply for the program, please contact us at yiayogapanama@gmail.com.